Aired Thursday, January 21, at 12 noon Kermit Poling spoke with pianist Stanislav Khristenko and Dr. Lester Senter Wilson, Executive Director of the Wideman International Piano Competition, about this weekend's 65th Anniversary Celebration of the Wideman Piano Competition. Saturday's concert features pianist Stanislav Khristenko in the Piano Concerto No. 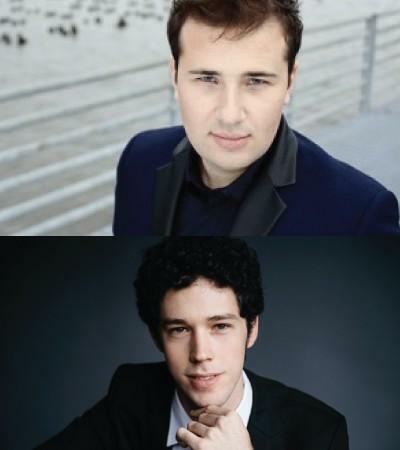 2 by Shostakovich and then pianist Tomer Gewirtzman will perform the Piano Concerto in A minor by Grieg. The concert concludes with the world premiere of the Symphony No. 1 (“Shreveport Symphony”) by Kermit Poling. Then on Sunday at the Louisiana State Exhibit Museum our two pianist will be joined by pianist and music director Michael Butterman along with violinist Jennifer Carsillo for a chamber music program. The concert will honor Van Cliburn by dedicating the Auditorium in the Louisiana State Exhibit Museum as the Van Cliburn Auditorium. Works featured are Mendelssohn's On Wings of Song; Schubert's Sonata in G Major, D. 894, IV. Allegretto; the Widmung (“Dedication”) by Schumann/ Liszt; the Rhapsodie espagnole by Liszt; Grieg's Peer Gynt Suite No. 1; and the Hungarian Dance No. 6 by Brahms.